Midwest Aero Support | Midwest Aero Support provides quality repair and electronic manufacturing services for commercial aircraft for companies worldwide. MAS is proud to be ISO 9001 & AS 9100 certified. From mechanical and electronic repairs to composite and seat-back repairs, the staff at Midwest Aero Support can make a wide range of repairs to commercial aircraft. Midwest Aero Support is proud to offer electronic and mechanical manufacturing services in addition to our repair capabilities. This growing area of our business gives our manufacturing clients the same quality, turn-around and price advantages as our repair clients. Midwest Aero Support takes great pride in its customer service and quality craftsmanship. We are dedicated to our clients’ needs and take your comments and suggestions seriously. 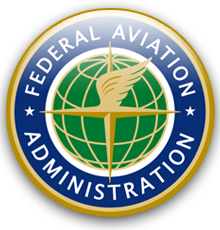 Midwest Aero Support is FAA Repair Station (MXSR849K) and EASA Repair Station (145.4679) certified for repairs of accessories I, II and III. In addition, we are ISO 9001 & AS 9100 certified.